A standard language is defined either as a language variety used by a population for public purposes, or as a variety that has undergone standardization. Typically, varieties that become standardized are the local dialects spoken in the centers of commerce and government, where a need arises for a variety that will serve more than local needs. Standardization typically involves a fixed orthography, codification in authoritative grammars and dictionaries and public acceptance of these standards. Hindi is the lingua franca of the Hindi belt , and to a lesser extent other parts of India (usually in a simplified or pidginized variety such as Bazaar Hindustani or Haflong Hindi). Outside India, several other languages are recognized officially as "Hindi" but do not refer to the Standard Hindi language described here and instead descend from other dialects of Hindustani, such as Awadhi and Bhojpuri. Such languages include Fiji Hindi , which is official in Fiji,  and Caribbean Hindustani, which is a recognized language in Trinidad and Tobago, Guyana, and Suriname. Apart from specialized vocabulary, spoken Hindi is mutually intelligible with Urdu, another recognized register of Hindustani. A lingua franca, also known as a bridge language, common language, trade language, auxiliary language, vehicular language, or link language is a language or dialect systematically used to make communication possible between people who do not share a native language or dialect, particularly when it is a third language that is distinct from both of the speakers' native languages. Haflong Hindi is the lingua franca of Dima Hasao district of Assam state of India. It is a pidgin that stemmed from Hindi and included vocabulary from several other languages, such as Assamese, Bengali, Dimasa and the Zeme Naga dialect. It is named after Haflong, which is the headquarters of Dima Hasao district. Fiji Hindi or Fijian Hindi, also known locally as "Hindustani", is an Indo-Aryan language spoken by most Fijian citizens of Indian descent, though a small number speak other languages at home. It is an Eastern Hindi language, generally considered to be an older dialect of the Awadhi language spoken in central and east Uttar Pradesh that has been subject to considerable influence by Bhojpuri, Magahi and other Bihari languages. It has also borrowed some words from the English and Fijian languages. A large number of words, unique to Fiji Hindi, have been created to cater for the new environment that Indo-Fijians now live in. First-generation Indians in Fiji, who used the language as a lingua franca in Fiji, referred to it as Fiji Baat, "Fiji talk". It is closely related to Caribbean Hindustani and the Hindustani spoken in Mauritius and South Africa. Ab'ul Hasan Yamīn ud-Dīn Khusrau, better known as Amīr Khusrow Dehlavī, was a Sufi musician, poet and scholar from India. He was an iconic figure in the cultural history of South Asia. He was a mystic and a spiritual disciple of Nizamuddin Auliya of Delhi, India. He wrote poetry primarily in Persian, but also in Hindavi. A vocabulary in verse, the Ḳhāliq Bārī, containing Arabic, Persian, and Hindavi terms is often attributed to him. Khusrow is sometimes referred to as the "voice of India" (Tuti-e-Hind), and has been called the "father of Urdu literature." Apabhramśa is a term used by vyākaraṇin (grammarians) since Patañjali to refer to languages spoken in north India before the rise of the modern languages. In Indology, it is used as an umbrella term for the dialects forming the transition between the late Middle and the early Modern Indo-Aryan languages, spanning the period between the 6th and 13th centuries CE. However, these dialects are conventionally included in the Middle Indo-Aryan period. Apabhraṃśa in Sanskrit literally means "corrupt" or "non-grammatical language", that which deviates from the norm of Sanskrit grammar. Modern Standard Hindi is based on the Khariboli dialect,  the vernacular of Delhi and the surrounding region, which came to replace earlier prestige dialects such as Awadhi, Maithili (sometimes regarded as separate from the Hindi dialect continuum) and Braj. Urdu – another form of Hindustani – acquired linguistic prestige in the later Mughal period (1800s), and underwent significant Persian influence. Modern Hindi and its literary tradition evolved towards the end of the 18th century. However, modern Hindi's earlier literary stages before standardization can be traced to the 16th century. In the late 19th century, a movement to further develop Hindi as a standardised form of Hindustani separate from Urdu took form. In 1881, Bihar accepted Hindi as its sole official language, replacing Urdu, and thus became the first state of India to adopt Hindi. 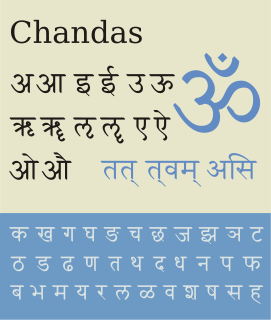 Modern Standard Hindi is one of the youngest Indian languages in this regard. At the state level, Hindi is the official language of the following Indian states: Bihar, Chhattisgarh, Haryana, Himachal Pradesh, Jharkhand, Madhya Pradesh, Mizoram, Rajasthan, Uttar Pradesh, Uttarakhand and West Bengal. Each may also designate a "co-official language"; in Uttar Pradesh, for instance, depending on the political formation in power, this language is generally Urdu. Similarly, Hindi is accorded the status of official language in the following Union Territories: Andaman & Nicobar Islands, Chandigarh, Dadra & Nagar Haveli, Daman & Diu, National Capital Territory. Hindi is also spoken by a large population of Madheshis (people having roots in north-India but have migrated to Nepal over hundreds of years) of Nepal. Hindi is quite easy to understand for some Pakistanis, who speak Urdu, which, like Hindi, is part of Hindustani. Apart from this, Hindi is spoken by the large Indian diaspora which hails from, or has its origin from the "Hindi Belt" of India. A substantially large North Indian diaspora lives in countries like the United States of America, the United Kingdom, the United Arab Emirates, Trinidad and Tobago, Guyana, Suriname, South Africa, Fiji and Mauritius, where it is natively spoken at home and among their own Hindustani-speaking communities. Outside India, Hindi speakers are 8 million in Nepal; 863,077 in United States of America;   450,170 in Mauritius; 380,000 in Fiji;  250,292 in South Africa; 150,000 in Suriname;  100,000 in Uganda; 45,800 in United Kingdom;  20,000 in New Zealand; 20,000 in Germany; 16,000 in Trinidad and Tobago;  3,000 in Singapore. Linguistically, Hindi and Urdu are two registers of the same language and are mutually intelligible. Hindi is written in the Devanagari script and uses more Sanskrit words, whereas Urdu is written in the Perso-Arabic script and uses more Arabic and Persian words. Hindi is the most commonly used official language in India. Urdu is the national language and lingua franca of Pakistan and is one of 22 official languages of India. Tatsam (तत्सम "same as that") words: These are words which are spelled the same in Hindi as in Sanskrit (except for the absence of final case inflections). They include words inherited from Sanskrit via Prakrit which have survived without modification (e.g. Hindi नाम nām / Sanskrit नाम nāma, "name"; Hindi कर्म karm / Sanskrit कर्म karma, "deed, action; karma"),  as well as forms borrowed directly from Sanskrit in more modern times (e.g. प्रार्थना prārthanā, "prayer"). Pronunciation, however, conforms to Hindi norms and may differ from that of classical Sanskrit. Amongst nouns, the tatsam word could be the Sanskrit non-inflected word-stem, or it could be the nominative singular form in the Sanskrit nominal declension. Punjabi is an Indo-Aryan language with more than 100 million native speakers around the world and especially in the Indian subcontinent. It is the native language of the Punjabi people, an ethnic group of the cultural region called the Punjab, which encompasses northwest India and eastern Pakistan. Gujarati is an Indo-Aryan language native to the Indian state of Gujarat and spoken predominantly by the Gujarati people. Gujarati is part of the greater Indo-European language family. Gujarati is descended from Old Gujarati. In India, it is the official language in the state of Gujarat, as well as an official language in the union territories of Daman and Diu and Dadra and Nagar Haveli. As of 2011, Gujarati is the 6th most widely spoken language in India by number of native speakers, spoken by 55.5 million speakers which amounts to about 4.5% of the total Indian population. It is the 26th most widely spoken language in the world by number of native speakers as of 2007. There are several methods of transliteration from Devanāgarī to the Roman script which share similarities, although no single system of transliteration has emerged as the standard. This process has been termed Romanagari, a portmanteau of the words Roman and Devanagari.. The term may also be used for other languages that use Devanagari as the standard writing script, such as Marathi, Nepali or Sanskrit. Bhojpuri is an Indo-Aryan language spoken in the North-Eastern part of India and the Terai region of Nepal. It is chiefly spoken in western Bihar and eastern Uttar Pradesh. Bhojpuri is sociolinguistically considered one of the Hindi dialects although it officially belongs to the geographic Bihari branch of Eastern Indo-Aryan languages. Fiji Hindi, an official language of Fiji, is a variety of Bhojpuri. Bhojpuri is one of the recognized official languages of Nepal and Fiji. It is also a minority language in Guyana, Trinidad and Tobago, Suriname, South Africa, and Mauritius. Khariboli, also known as Kauravi or Delhavi, was a language variety that developed as the prestige dialect of Hindustani, of which Standard Hindi and Standard Urdu are standard registers and literary styles, which are the principal official languages of India and Pakistan respectively. The term "Khariboli" has, however, been used for any literary dialect, including Braj Bhasa, and Awadhi. As a base for the medieval Hindustani language, Khariboli is a part of the Western group of the Central Zone of Indo-Aryan languages. It is spoken mainly in India in the rural area surrounding Delhi, Western Uttar Pradesh, and southern Uttarakhand. Hindustani is one of the predominant languages of South Asia, with federal status in India and Pakistan in its standardized forms of Hindi and Urdu. It is widely spoken and understood as a second language in Nepal, Bangladesh, Sri Lanka and the Persian Gulf and as such is considered a lingua franca in the Indian subcontinent. It is also one of the most widely spoken languages in the world by total number of speakers. It developed in North India, principally during the Mughal Empire, when the Persian language exerted a strong influence on the Western Hindi languages of central India. This led to the creation of Rekhta, or "mixed" speech, which came to be known as Hindustani, Hindi, Hindavi, and Urdu This form was elevated to the status of a literary language, and after the partition of British India and independence this collection of dialects became the basis for modern standard Hindi and Urdu. Although these official languages are distinct registers with regards to their formal aspects, such as modern technical vocabulary, they continue to be all but indistinguishable in their vernacular forms. Hindustānī, also known as Hindi-Urdu, comprises several closely related dialects in the northern, central and northwestern part of the Indian subcontinent. It encompasses two standardized registers in the forms of the official languages Hindi and Urdu, as well as several nonstandard dialects. Hindustani is not an immediate descendant of Sanskrit, but uses a large lexicon of loanwords. Nuqtā, also spelled Nuktā, is a term for a diacritic mark that was introduced in Devanāgari and some other Indian scripts to represent sounds not present in the original scripts. It takes the form of a dot placed below a character. Also, in another sense deriving from the Arabic script itself, there "are some letters in Urdu that share the same basic shape but differ in the placement of dots(s) or nuqta(s)" in the Urdu script: the letter ع ain, with the addition of a nuqta, becomes the letter غ g͟hain. The Hindi–Urdu controversy is an ongoing dispute—dating back to the 19th century—regarding the status of Hindi and Urdu as a single language, Hindustani, or as two dialects of a single language, and the establishment of a single standard language in certain areas of North India. Although this debate was officially settled in India by a government order in 1950, declaring Hindi as the official language, some resistance remains. The present notion among some Muslims about this dispute is that Hindus abandoned the Urdu language, whereas some Hindus claim that Urdu was artificially created during Muslim rule. Schwa deletion, or schwa syncope, is a phenomenon that sometimes occurs in Hindi, Urdu, Bengali, Kashmiri, Punjabi, Gujarati, and several other Indo-Aryan languages with schwas that are implicit in their written scripts. Languages like Marathi and Maithili with increased influence from other languages through coming into contact with them — also shows a similar phenomenon. Some schwas are obligatorily deleted in pronunciation even if the script suggests otherwise. Hindustani vocabulary, also known as Hindi-Urdu vocabulary, like all Indo-Aryan languages, has a core base of Sanskrit, which it gained through Prakrit. As such the standardized registers of the Hindustani language (Hindi-Urdu) share a common vocabulary, especially on the colloquial level. However, in formal speech, Hindi tends to draw on Sanskrit, while Urdu turns to Persian and sometimes Arabic. This difference lies in the history of Hindustani, in which the Khariboli dialect started to gain more Persian words in urban areas, under the Delhi Sultanate; this dialect came to be termed Urdu. Lallu Lal (1763–1835) was an academic, author and translator from British India. He was an instructor in Hindustani language at Fort William College. He is notable for Prem Sagar, the first work in modern literary Hindi. ↑ "Central Hindi Directorate: Introduction". Archived from the original on 4 May 2012. Retrieved 18 February 2014. ↑ Hammarström, Harald; Forkel, Robert; Haspelmath, Martin, eds. (2017). "Hindi". Glottolog 3.0 . Jena, Germany: Max Planck Institute for the Science of Human History. ↑ "Constitution of India". Archived from the original on 2 April 2012. Retrieved 21 March 2012. ↑ "Constitutional Provisions: Official Language Related Part-17 of The Constitution Of India". Department of Official Language, Government of India. Archived from the original on 13 January 2017. Retrieved 15 February 2017. ↑ "PART A Languages specified in the Eighth Schedule (Scheduled Languages)". Archived from the original on 29 October 2013. 1 2 Khan, Saeed (25 January 2010). "There's no national language in India: Gujarat High Court". The Times of India . Ahmedabad: The Times Group. Archived from the original on 18 March 2014. Retrieved 5 May 2014. 1 2 "Hindi, not a national language: Court". The Hindu . Ahmedabad: Press Trust of India. 25 January 2010. Archived from the original on 4 July 2014. Retrieved 23 December 2014. ↑ "How languages intersect in India". Hindustan Times. 22 November 2018. ↑ "Hindi Diwas 2018: Hindi travelled to these five countries from India". 14 September 2018. ↑ "Caribbean Languages and Caribbean Linguistics" (PDF). University of the West Indies Press. Archived from the original (PDF) on 20 December 2016. Retrieved 16 July 2016. ↑ Richard K. Barz (8 May 2007). "The cultural significance of Hindi in Mauritius". South Asia: Journal of South Asian Studies. 3: 1–13. doi:10.1080/00856408008722995. ↑ Mikael Parkvall, "Världens 100 största språk 2007" (The World's 100 Largest Languages in 2007), in Nationalencyklopedin . Asterisks mark the 2010 estimates Archived 11 November 2012 at the Wayback Machine for the top dozen languages. ↑ "Hindustani". Columbia University Press. Archived from the original on 29 July 2017 – via encyclopedia.com. ↑ Steingass, Francis Joseph (1892). A comprehensive Persian-English dictionary. London: Routledge & K. Paul. p. 1514. Retrieved 13 February 2018. 1 2 "Brief History of Hindi". Central Hindi Directorate. Archived from the original on 6 March 2014. Retrieved 21 March 2012. ↑ "Rekhta: Poetry in Mixed Language, The Emergence of Khari Boli Literature in North India" (PDF). Columbia University. Archived (PDF) from the original on 28 March 2016. Retrieved 23 April 2018. ↑ Paul R. Brass (2005). Language, Religion and Politics in North India. iUniverse, Incorporated. ISBN 9780595343942. ↑ Clyne, Michael (24 May 2012). Pluricentric Languages: Differing Norms in Different Nations. Walter de Gruyter. ISBN 9783110888140. ↑ Choudhry, Sujit; Khosla, Madhav; Mehta, Pratap Bhanu (12 May 2016). The Oxford Handbook of the Indian Constitution. Oxford University Press. ISBN 9780191058615. ↑ Grewal, J. S. (8 October 1998). The Sikhs of the Punjab. Cambridge University Press. ISBN 9780521637640. ↑ "हिन्दी दिवस विशेष: इनके प्रयास से मिला था हिन्दी को राजभाषा का दर्जा". Archived from the original on 11 September 2017. ↑ "Hindi Diwas celebration: How it all began". The Indian Express . 14 September 2016. Archived from the original on 8 February 2017. Retrieved 7 February 2017. ↑ Kothari, Ria, ed. (2011). Chutnefying English: The Phenomenon of Hinglish. Penguin Books India. p. 128. ISBN 9780143416395. ↑ "The Constitution of India" (PDF). Archived from the original (PDF) on 9 September 2014. ↑ "THE OFFICIAL LANGUAGES ACT, 1963 (AS AMENDED, 1967) (Act No. 19 of 1963)". Department of Official Language. Archived from the original on 16 December 2016. Retrieved 9 June 2016. ↑ Roy, Anirban (28 February 2018). "Kamtapuri, Rajbanshi make it to list of official languages in". India Today. Archived from the original on 30 March 2018. Retrieved 16 March 2019. ↑ "Gujarat High Court order". The Hindu. 25 January 2010. Archived from the original on 4 July 2014. 1 2 3 "Hindi, Fiji". Ethnologue . Archived from the original on 11 February 2017. Retrieved 17 February 2017. ↑ "Fiji Hindi alphabet, pronunciation and language". www.omniglot.com. Archived from the original on 8 June 2017. Retrieved 22 June 2017. ↑ "Section 4 of Fiji Constitution". servat.unibe.ch. Archived from the original on 9 June 2009. Retrieved 3 May 2009. ↑ "Constitution of Fiji". Official site of the Fijian Government. Archived from the original on 11 October 2016. Retrieved 14 October 2016. ↑ "Hindi most spoken Indian language in US, Telugu speakers up 86% in 8 years". ↑ "United States- Languages". Ethnologue. Archived from the original on 11 February 2017. Retrieved 17 February 2017. ↑ "United Kingdom- Languages". Ethnologue. Archived from the original on 1 February 2017. Retrieved 17 February 2017. ↑ "Hindi and Urdu are classified as literary registers of the same language". Archived from the original on 2 June 2016. ↑ Sin, Sarah J. (2017). Bilingualism in Schools and Society: Language, Identity, and Policy, Second Edition. Routledge. ISBN 9781315535555 . Retrieved 17 February 2018. ↑ Bhatia, Tej K. (1987). A History of the Hindi Grammatical Tradition: Hindi-Hindustani Grammar, Grammarians, History and Problems. Brill. ISBN 9789004079243. ↑ Arnold, David; Robb, Peter (2013). Institutions and Ideologies: A SOAS South Asia Reader. Routledge. p. 79. ISBN 9781136102349. ↑ Ohala, Manjari (1983). Aspects of Hindi Phonology. Motilal Banarsidass Publishers. p. 38. ISBN 9780895816702. ↑ Arnold, David; Robb, Peter (2013). Institutions and Ideologies: A SOAS South Asia Reader. Routledge. p. 82. ISBN 9781136102349. ↑ Bhatia, Tej K.; Ritchie, William C. (2006). The Handbook of Bilingualism. John Wiley and Sons. p. 789. ISBN 9780631227359. ↑ D., S. (10 February 2011). "Arabic and Hindi". The Economist. The Economist. Archived from the original on 22 April 2016. Retrieved 13 April 2016. ↑ "Stop outraging over Marathi – Hindi and English chauvinism is much worse in India". Archived from the original on 19 September 2015. ↑ "Hindi content consumption on internet growing at 94%: Google". The Economic Times. 18 August 2015. Archived from the original on 15 February 2018. Retrieved 14 February 2018. Bhatia, Tej K. (11 September 2002). Colloquial Hindi: The Complete Course for Beginners. Taylor & Francis. ISBN 978-1-134-83534-8 . Retrieved 19 July 2014. McGregor, R.S. (1995). Outline of Hindi grammar: With exercises (3. ed.). Oxford: Clarendon Pr. ISBN 978-0-19-870008-1 . Retrieved 19 July 2014. Sadana, Rashmi (2012). English Heart, Hindi Heartland: the Political Life of Literature in India. University of California Press. ISBN 978-0-520-26957-6 . Retrieved 19 July 2014. Taj, Afroz (2002) A door into Hindi . Retrieved 8 November 2005. Wikivoyage has a phrasebook for Hindi .